We could not have been more pleased with Jennifer Denys and are thrilled to have found her through you. She was thoughtful, flexible, friendly, courteous, bright and kind. The feedback from the service was all very positive and we were so pleased that her professionalism and warmth fostered a wonderful day for us to celebrate our marriage. Jen Denys did a fantastic job!!!! She made the ceremony exactly what we wanted and help put any nerves that we had at ease. 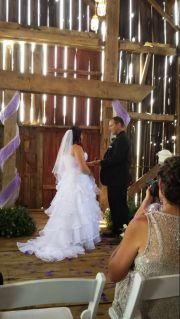 She was Amazing and I would completely recommend her to any one who is looking for an officiant. Jen Denys went above and beyond our expectations. She was very helpful and understanding. She helped us with making a program to fit our wedding ceremony. Jen did a very meaningful reading. Her patience and kindness during the ceremony made it even better. I will always remember Jen and highly recommend her as she works well with couples and knows the right things to say. 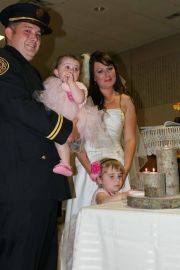 Jen we would like to thank-you for taking the time to perform a wonderful and memorable ceremony. Jen Denys was extremely helpful, kept everyone calm and truly made our day fun and exciting. The office staff were warm and welcoming. Made us confident that they'd put us with the right person. Anyone who asks us will be getting your contact information. Jen was awesome. She made everyone feel relaxed. It was exactly what we wanted. We couldn't have been any happier with how she performed our ceremony. Jen Denys was fabulous! Very patient, well spoken and made our ceremony really special! Jen Denys was amazing! One of the nicest people I've ever met! Our ceremony was exactly what we wanted with a warm, kind, caring and friendly officiant! Jen Denys did an amazing job with our marriage ceremony. She really took the time to get to know what we wanted. She was open to suggestions and incorporated are family vows and flower ceremony as requested. We would definitely recommend her to our friends. Jen Denys was absolutely fabulous. She accommodated our requests and made our ceremony very intimate and special for us. I would not hesitate to recommend Jen for anyone's ceremony - she is wonderful! Jen Denys did a fabulous job with our wedding. She made us feel very relaxed on the day, and delivered a ceremony exactly as we had imagined. It is not often that you can say that things turned out as you had imagined! Jen was a pleasure to work with. She took the time to get to know us as a couple and we definitely made the right decision having her officiate at our wedding. 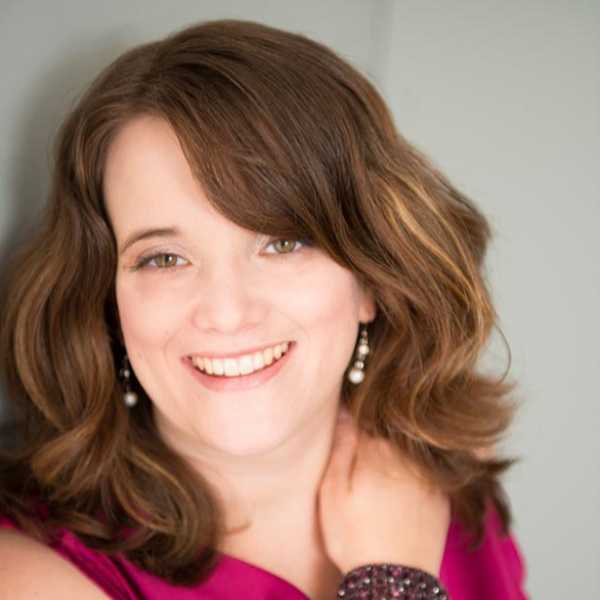 Jen Denys made sure all of our questions were answered and made us feel comfortable to reach out to her if needed. Jen played a big part in making our wedding so wonderful. Jen Denys was an absolutely perfect wedding officiant. She learned who we are as a couple and that was reflected within the ceremony. She brought out the best in both of us throughout the ceremony. Jen, thank you. We will absolutely be referring friends and family to Jen Denys in the future.